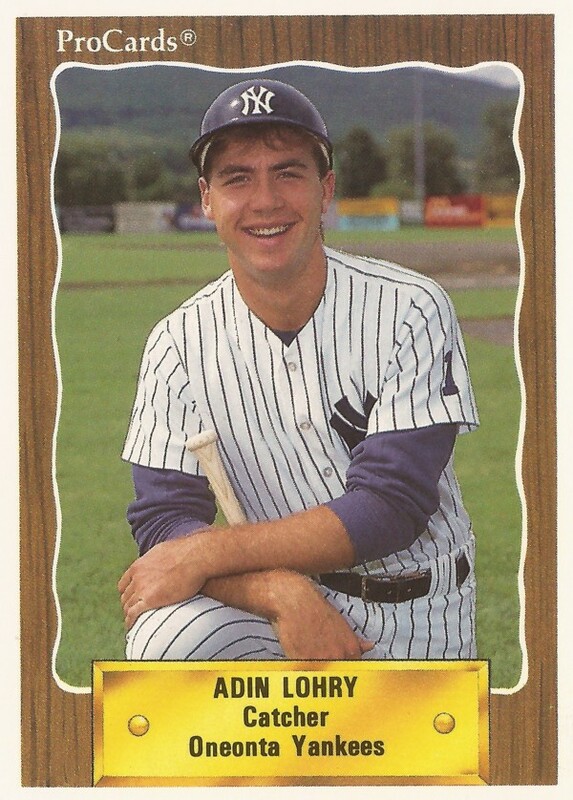 High schooler Adin Lohry was ready to turn pro in 1989. It didn't hurt that the team to come calling was the team he hoped to play for as a kid, the Yankees, according to The Orlando Sentinel. "I didn't care who would have drafted me," Lohry told The Sentinel. ''I would have probably signed with anybody. But they made it easy. They met all my demands, and they made it possible to go to college later." Lohry went on to a pro career that spanned six seasons. He made AA, but he didn't make it higher. His pro career began that year in 1989, taken by the Yankees in the fourth round of the draft out of Winter Park High School in Florida. Lohry started with the Yankees in the rookie Gulf Coast League. He hit .266 in 38 games. He picked up two hits in an August game. He then moved to short-season Oneonta for 1990. The catcher hit .197 there. Lohry made high-A Fort Lauderdale for 30 games in 1991. He got 52 games at high-A Prince William in 1992. Those 57 games were the most Lohry saw in a season in his career. He pinch hit in an August game and scored the winning run. Lohry played in two more seasons. He played at high-A San Bernardino in 1993 and 1994. In 1994, he also got into 21 games at AA Albany-Colonie. He hit .211 over 53 total games that season, ending his career.